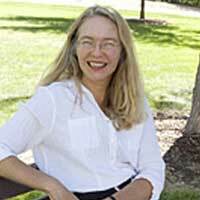 Dr. Suzanne Oakdale received an appointment in the Department of Anthropology at The University of New Mexico in 1998. She offers several undergraduate and graduate level courses for Latin American Studies students, with topics such as ritual activity and its contemporary significance, theory in ethnology, identity construction in contemporary, “multicultural” Brazil, highland and lowland peoples of South America, and others. Oakdale specializes in Brazil, with research focused on Amazonian indigenous peoples. She explores the dynamics of ritual practice; history; and the social anthropology of the person and personal experience, particularly how these genres reflect and are used to address large scale social shifts.